Business Unity SA (Busa) has given the political funding bill the thumbs up, but wants thresholds to be established for such donations. The organisation and its affiliate, Business Leadership SA, made submissions to parliament’s ad hoc committee on the funding of political parties and raised concerns about the lack of limitations. Busa CEO Tanya Cohen said the organisation wanted a maximum cap to the amount donors could donate to political parties and the amount of donations declared to be much lower than the current mooted R100 000. “We note that, for practical purposes, it may be useful to establish a threshold for disclosure, but would argue that such a threshold should be reasonably low, for example R5 000. We are aware that there has been resistance from some stakeholders for complete transparency, based on arguments that donors to opposition parties may be prejudiced if their contributions are disclosed. “We would argue that the importance of transparency in preventing undue influence outweighs the argument for privacy,” Cohen said. She further pointed out that the organisation would prefer the threshold not to be too prescriptive and that it was generally pleased with the bill and its intentions. “We are happy with the bill and we feel it will strengthen our democracy,” she said. Cohen said the organisation also supported the establishment of a multiparty democracy fund, into which private sources of funding towards political parties might be deposited. “We support this provision based on the understanding that this does not preclude donors from directly funding political parties of their choice, as long as disclosure requirements are met in this regard,” she said. She said the proposal in the bill to use the Electoral Commission of SA’s current model for the allocation of funds to parties, which combines a minimum allocation to all parties with representation in the National Assembly and provincial legislatures, inevitably favours larger parties over smaller parties, and excludes new parties that have not yet contested an election. 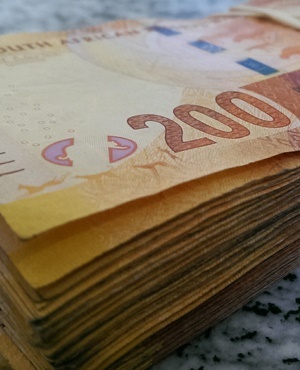 Chairperson of the ad hoc committee for the bill, Vincent Smith, said there was universal consensus that funding should be capped and the committee itself settled on capping it at R15 million per donor and the minimum threshold declarations at R100 000. Smith said the rationale behind the R100 000 was that the declarations register might be too long while for maximum cap, the intention is to safeguard too much business. “We don’t want business to influence policy direction and that might risk our sovereignty. “No party can get more than R15 million from a donor and everything above R100 000 must be declared,” Smith said, adding that the bill still had to go to the National Assembly. What do you think about political parties having to disclose where they get their funding from? Will it help to root out cronyism?